Win a Colette Cooper Bag Pattern + Custom Fabric! It's safe to say we're in love with Colette's Cooper bag pattern! Cooper gives you three different bags from one basic body: messenger bag, backpack, and satchel. All versions are lined and feature eight large pockets, magnetic closures, and hardware details. The messenger bag (version 1) has an adjustable cross-body strap. The backpack (version 2) has two shoulder straps and a hang loop. The two-handled satchel (version 3) does double duty as a bike pannier. Enter for a chance to take home your own paper copy and a few yards of custom-printed Linen-Cotton Canvas to sew it up! The deadline for entries is Tuesday, March 11th, 2014. 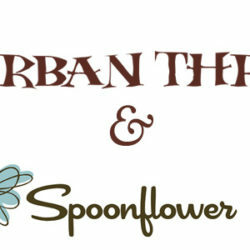 We will announce the winner on the blog on Wednesday, March 12th. Congratulations to Jan Davies– winner of our wallpaper giveaway! 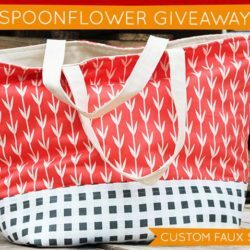 Win a Custom Yours, Olive Tote!